When Sarah Palin gave her wonderful speech in tribute of Ronald Reagan, she spoke of visiting Rancho del Cielo …. the Ranch in the Heavens …. and how she was moved by being there. How it felt to walk the paths Ronnie had cleared with his own hands. 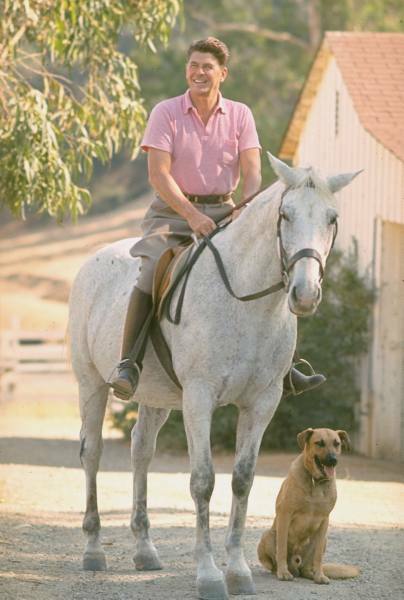 She spoke of riding the trails on horseback, just as the Gipper had done in his day. She even gave Bristol a little jazz for not being the best of riders! As she spoke of this, you could tell the experience moved her greatly. You could picture her standing there contemplating her political hero and just soaking up the spirit that lives on that magnificent ranch. Well, leave it to the New York Times to try and rain on that parade! Young America’s Foundation hosted Governor Sarah Palin for the keynote address at the opening banquet of our Reagan 100 weekend. This weekend marks the 100th anniversary of Ronald Reagan’s birth. Celebrations are taking place across the country, but this is a particularly significant weekend for our organization—since the spring of 1998 we’ve been preserving Ronald Reagan’s beloved Ranch home in the mountains north of Santa Barbara, Rancho del Cielo. Today Ronald Reagan’s Western White House is a place where young people come to be inspired by the life, the ideas, the character of Ronald Reagan. And Governor Palin visited the Ranch for exactly the same reason. The Governor gave a powerful speech at our banquet last night, before an enthusiastic overflow audience. She eloquently and gracefully paid tribute to one of the most significant speeches in American history, Ronald Reagan’s “Time for Choosing” address—while at the same time outlining a vision for America that builds upon President Reagan’s. The speech was universally well received by our audience of all ages. Governor Palin has a remarkable effect on people. For many conservatives, she’s a rock star. When the Governor walks into a room, normally even-keeled and good-natured people tend to forget their surroundings and rush towards her—to give her hug, to tell her how grateful they are for her courage, to tell her specifically how she has touched their lives. Event planning requires adherence to a basic schedule. At a minimum, you have to make it possible for your speaker to take the stage, in the “friendly confines” of tightly-packed and small room. Not an easy task with a superstar like Sarah Palin but our team sought to make the event run smoothly. Forget the minutia of event planning, though. The Times account is simply not accurate. Here’s the amazing thing about yesterday’s events: they were as much about Gov. Palin coming to Santa Barbara to soak up the spirit of Ronald Reagan as they were about her delivering a keynote address. And on top of that, she was incredibly gracious with her time. Our day with Governor Palin actually started much earlier than her arrival at the Reagan Ranch Center. We first greeted Governor Palin when she arrived at the Reagan Ranch itself, family in tow. Joined by Bristol, Willow, Trig, and grandson Tripp, the Governor visited Ronald Reagan’s favorite retreat for the sole purpose of walking in his footsteps, to better understand what motivated and inspired this great man. We had to ask her to let us chronicle the event in photos and video, to which she reluctantly agreed. Governor Palin and her family spent hours at the Ranch on Friday. She met with Young America’s Foundation president Ron Robinson and Vice President Kate Obenshain. She heard personal accounts of the President’s life at Rancho del Cielo—the Ranch in the heavens—from trusted Reagan friend and confident Dennis LeBlanc and former Secret Service agent John Barletta. After touring the grounds, Governor Palin even mounted a horse—confident in the saddle—and road the very same trails the President loved with Agent Barletta. She had asked if it would be possible to ride, wanting to experience the Ranch as Ronald Reagan did. Though it was clear the Governor enjoyed the experience, it was also clear that this was not just for her—this was an opportunity for her to share the life of her hero with her family. It was a way for her to impart her values, those she shares with Ronald Reagan, with Bristol, Willow, Trig, and Tripp, just as our organization does for hundreds of young people every year as they visit and are inspired by their opportunity to “meet” Ronald Reagan at his Ranch. There was a moment late in the day that really sticks with me. It had been a full day–there was so much for us to share and the Governor to take in. As the tour wound down, we stopped at one of the highest points on the Ranch, where a spectacular view opens up to the Santa Ynez Valley. The day was crystal clear, and our small group could look out over the rolling hills of ranchland and wine country framed by the peaks of a distant mountain range. I shared with the Governor something the president told Barbara Walters in an interview at Rancho del Cielo in 1981. Why does this remote property mean so much to you, Walters wondered? The president’s answer was simple: I suppose it’s the scriptural line, “I look to the hills from whence cometh my strength.” I understand it a little better when I’m up here. We paused at this spot and Governor Palin walked a few feet away from the rest of the group, to take in more of this dramatic California Central Coast vista, and, I think, to reflect on the experiences she had at the Ranch that day. Anyone who has visited Rancho del Cielo knows there is a remarkable simplicity to the property. It’s the thing that shocks most visitors now, as it did the world leaders who visited Reagan there. The president lived in a small, 1,800 square foot adobe with no central air or heat. He built much of the Ranch himself, including an impressive stretch of sturdy, telephone-pole fencing that surrounds the home site and pond. Everything about the Ranch reflects the great American, and, particularly, western ideals that Ronald Reagan cherished: hard work, responsibility, stewardship of the land, freedom, and opportunity. It was clear on Friday that Governor Palin is a leader cut from the same cloth—it is these great western ideals, and the way they could be seen at the Ranch in small but telling details, that she viscerally connected with. And I have to admit, it was fun to see up close how genuine that connection was. Governor Palin went out of the way in her speech to not lay claim to the mantle of Ronald Reagan. “Many people today are looking for the next Reagan. But he was one of a kind, and we won’t see his like again,” she said later in her speech, but it’s his principles and values to which we must lay claim. Read more of this beautiful accounting of Sarah and her family’s pilgrimage to Rancho del Cielo and see the gorgeous photos here. You can read what that hacks at the Times wrote, as well. There is only one Ronald Reagan. As Sarah gave her speech Friday night she reminded us that he was one of a kind, an American original. She also pointed out that Ronnie’s spirit lives on in millions of Americans throughout the land. His spirit lives in Sarah Palin as well. There is no other American more worthy of carrying on his legacy. Of continuing to fight for Freedom and Liberty. She’s far too humble to seek that distinction, but it suits her nonetheless. As we look to the future, we must look to the leader who exhibits the same courage Reagan did in his day. The fearless woman with a steel spine who has vowed to never sit down and never shut up. I’d like to think that as Sarah walked the paths and rode the trails that Ronnie cleared with his own hands, he looked down and smiled knowing his legacy was in the best of hands. Thank You (in my best Barack Obama voice) adding a double Palin wink ;;! I do so much appreciate the warm welcome. Yesterday I read each and every one and tucked them right under the electric blanket with me, next to my heart, to ward off the last shivers of a rotten cold that I wouldn’t wish on the most left-wing liberal. (Hmmm, well, if I’m honest….) Please know that I know that your gracious welcome is more a testament to the faith each of you have in your beloved Fay, than in me; however, give me time and I’ll do my best to deserve her honor and yours. 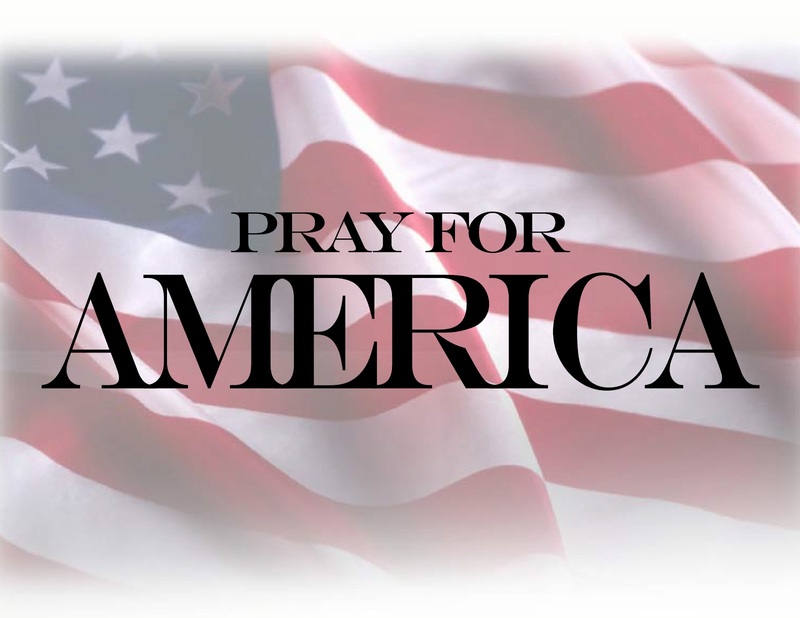 This morning, I watched Sarah Palin’s last evening’s speech and was blown away. Then I focused on the top applause lines of that speech and ever so slowly transcribed them into a list. Ahem, it’s a loooong list. It’s my opinion that applause lines are telling moments of unity of purpose, thought and spirit – so they always get my attention.